Hello sweeties! 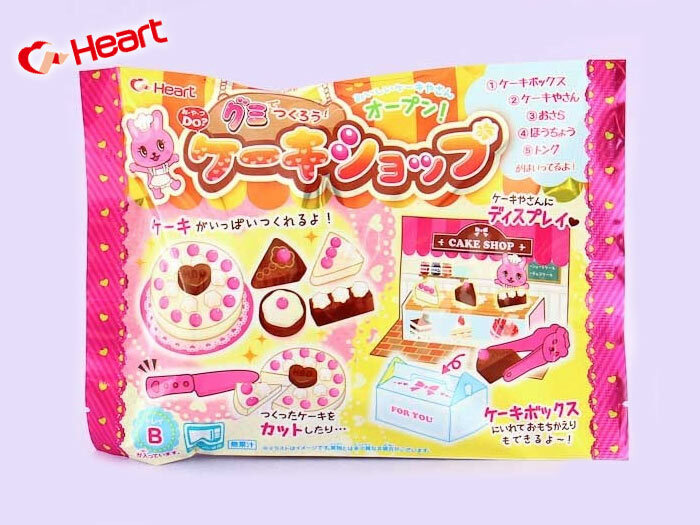 This Cake Shop Gummy Candy DIY Set from Heart was included in the December 2017 Japanese snack box. 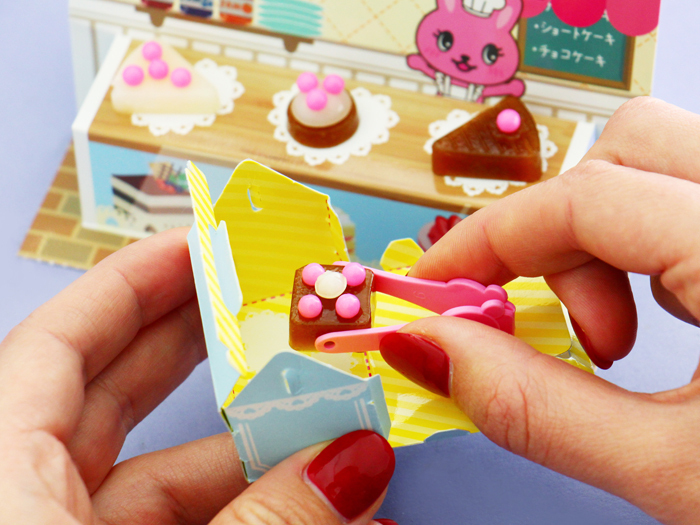 Follow this tutorial to create your own cute cake shop with delicious gummy candy! 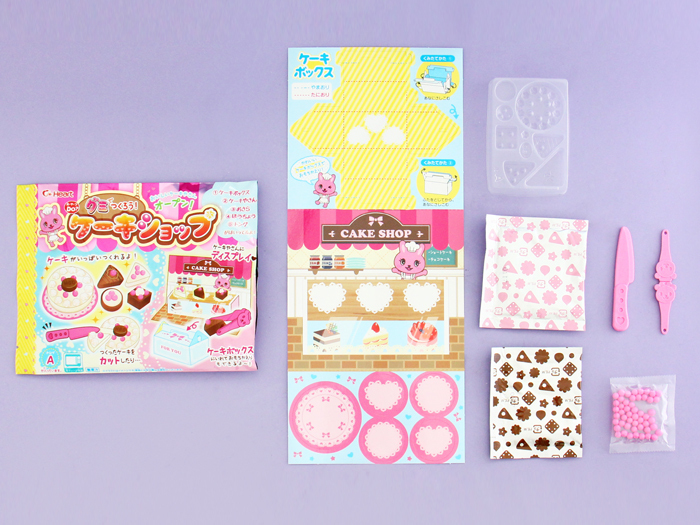 The DIY set includes 2 candy powder bags (banana and strawberry flavors), molds to make the cakes & measure the liquids, small knife, server, candy drops for decoration and the cake shop & box base. 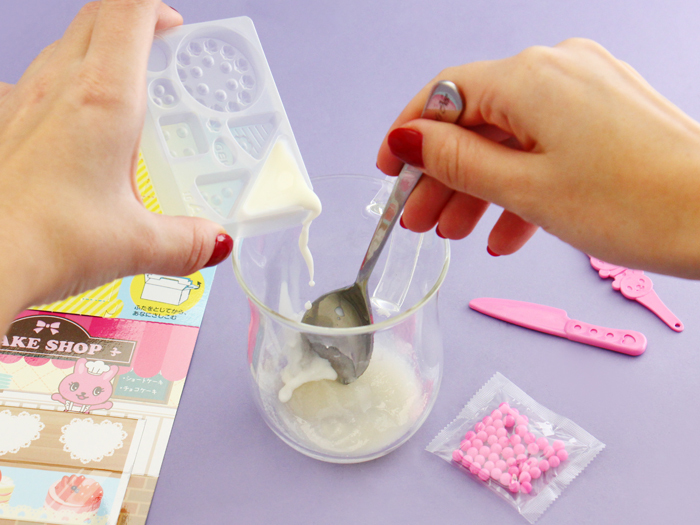 ▲ Mix the content of the pink candy powder bag with 3 scoops of milk. Use the triangle mold to measure 3 scoops of water and mix them together in a separate cup. Use the same triangle mold to measure 2 scoops of water and mix it with the content of the brown candy powder bag also in a separate cup. Next heat both mixtures in a microwave in 500 watts. The brown colored mixture for 20 seconds and the cream colored one for 30 seconds. 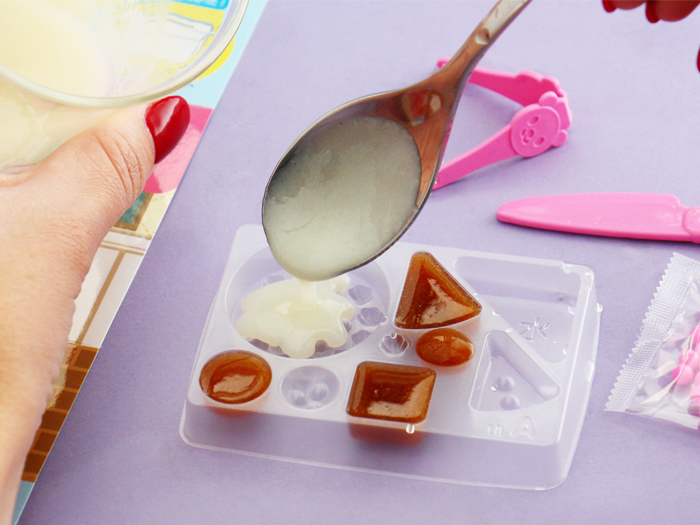 ▲ Now you are ready to pour the liquid gummy candy mix to the cake molds to make the cakes! Carefully fill the molds and place the mold in the refrigerator for 30 minutes. 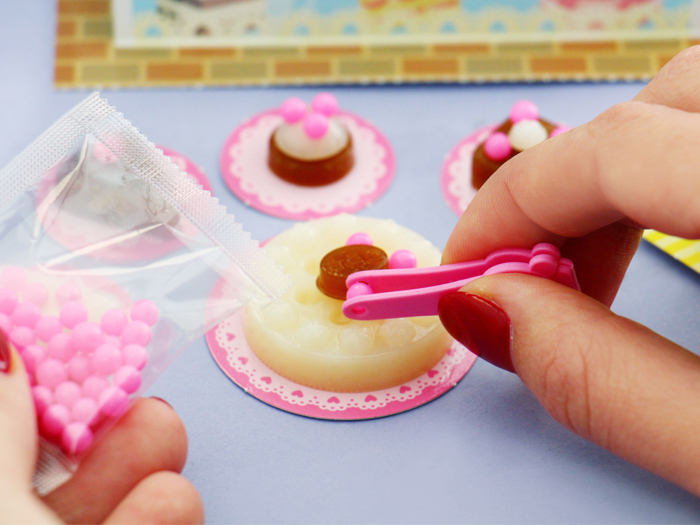 ▲ When the candies have chilled you can carefully press them out from the mold. Decorate the cake pieces with cute pink candy drop decorations! ▲ Cut the cake box from the paper with scissors, and fold it along the dotted lines to build the takeaway cake box for your customers! 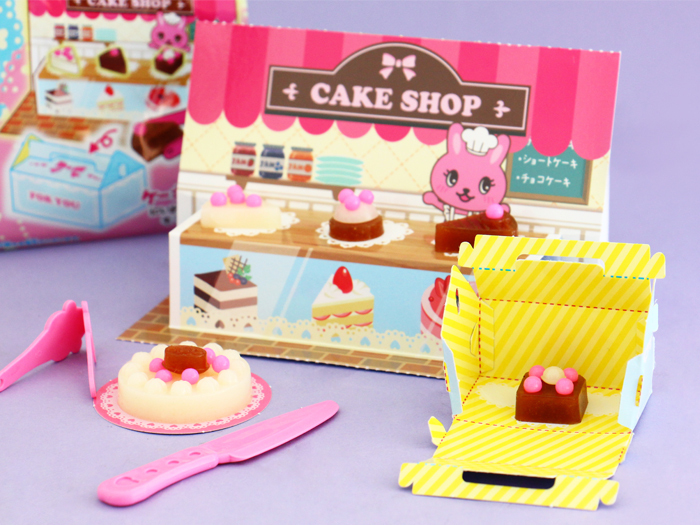 You can then cut out the 5 cake plates with scissors and also pop-up the cake shop stand. 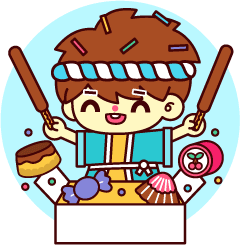 ▲ Now you are ready to sell your cakes! 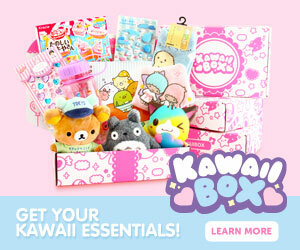 Add the cake pieces to the takeaway box and serve the cakes from the plates for the stay in customers! Happy baking!